Sometime in the late seventies my mother bought a Pony. And no, it wasn’t one of the hoofed varieties but a shiny red, made -in -Greece quasi jeep with a really odd gear stick and a Singer sewing machine of an engine. Although sceptical at first when faced with this odd looking vehicle, I have to admit it proved to be one of my mother’s best buys ever and one that we would all come to love and respect. The Pony was the perfect transport for island life (my mother had a house on Skiathos) and could boldly go where practically no car had gone before. But it was not quite so ideal for long distance journeys and maybe deciding to drive three of us from Greece to England in it was a tad overly optimistic on our part. We progressed through Italy with little difficulty- as long as we slowed down to let almost every single HGV or lorry overtake us safely we were just fine. We quickly saw that failure to reduce speed produced a strange ear popping skid towards the hard shoulder, so after a few near misses we metaphorically doffed our caps to the ‘big boys’ and slowed to snails pace. 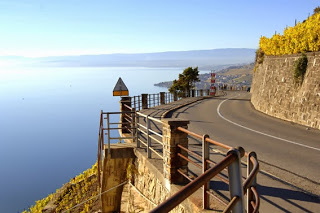 In France we encountered a new challenge, discovering that a 2 stroke 600cc engine simply couldn’t propel the car forward when faced with a steep incline and a strong headwind. This test of the Pony’s horsepower occurred on an auto route and I remember we just had to pull over and wait for the wind to die down before attempting to reach the top of the hill! Headwinds notwithstanding, we slowly but surely made it all the way to the UK. Arriving somewhat triumphantly at Dover, we were greeted by an incredulous customs officer who wasn’t quite sure if he was witnessing a trio of eccentrics driving a golf cart or the latest in some unknown form of home made technology. I remember that he called at least four of his colleagues to gape at the spectacle, though, before waving us past a gathering crowd of onlookers. As my mother had some paintings that she wanted to bring to Greece still in store in England we duly packed them into the back of our stalwart little Pony. There seemed to be room for some household items so my mother added those too. Noticing that the suspension appeared to be holding up under the strain, she bought a stone fountain and chucked that in as well. Praying that we would have good tailwinds and that we wouldn’t meet too many headwinds, we set off back for Greece. It might have been foolhardy to trust in the overloaded Pony’s brakes and suspension by travelling down the Grand Corniche into Monaco but we survived the test and then probably considerably diluted the high aesthetic of luxury vehicles usually parked on the streets of Monte Carlo for a few happy days. Our Little Pony had turned into a real pack horse and we could only sing its praises. The Pony did ten years or so of sterling service for us, and was then sold on Skiathos to a friend who managed to drive it off a cliff. Both he and the Pony survived (happily) and the car was dragged back up onto the road, fixed, and put back into circulation! 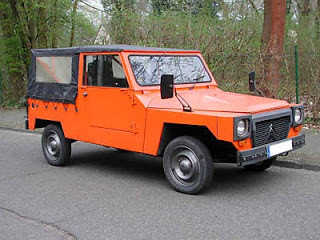 First generation Pony-Citroën like ours were made until 1983 but Pony cars disappeared altogether in 1992 after the National Motor Company of Greece (Namco) suspended production of their second generation Super Pony. What a surprise, then, to see that these amazing cars are trotting back to the production line. The 2014 new generation of Pony should be great news for anyone who wants an economical, sturdy vehicle….ride, Pony, ride! Next Skorpios has a sting in its tale!